Magdalena, NM; July 14, 2017 – For Immediate Release – The Taylor Canyon Fire, located on the Magdalena Ranger District, is now at 4,728 acres. The lightning-caused fire started on July 6 and is located in Taylor Canyon, 55 miles west of Magdalena, NM, in the San Mateo Mountains. “Safety of the fire fighter will continue to be a priority on the Taylor Canyon Fire. The Incident Commander, fire fighters and associated personnel have done a great job working on this fire. As this is a multiple agency fire, the coordinated efforts between agencies, and efforts by the fire personnel have allowed for the fire to be managed for resource objective” observed by Mark Matthews, Field Manager, Socorro Field Office, Bureau of Land Management. Approximately 40 personnel are assigned to the Taylor Canyon fire. Resources include two Wildland Fire Modules, one Type 2 Initial Attack Crew, two Type 6 Engines, and one Type 3 Helicopter. Resources from the U. S. Forest Service, Bureau of Indian Affairs, Bureau of Land Management, and New Mexico State Forestry – Returning Hero’s Program are currently assigned. The fire continues to burn in ponderosa pine, pinyon, juniper, and grass on both Forest Service and Bureau of Land Management lands. The fire burned primarily in interior pockets yesterday, contributing to some additional growth. Personnel will actively monitor the fire perimeter throughout the day today. Smoke by be visible NM 52 and US Highway 60. 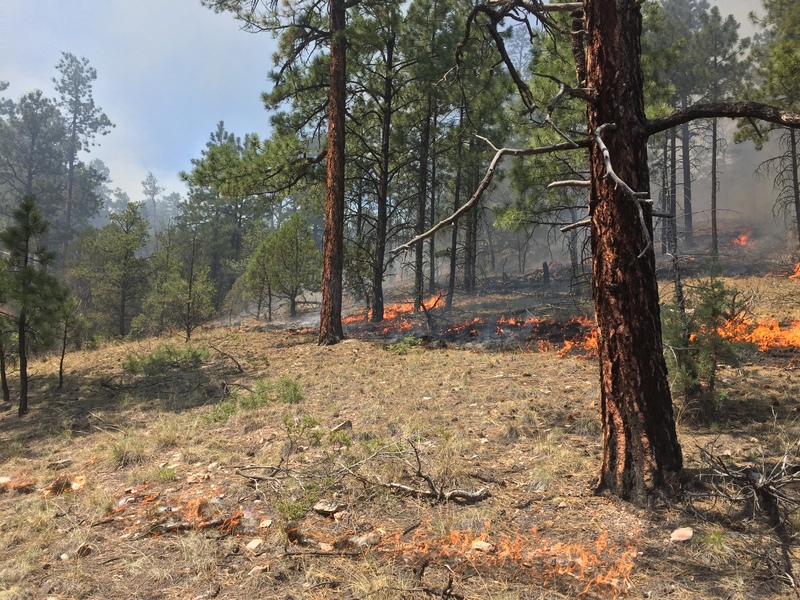 The fire is being managed to achieve multiple resource objectives, including improving wildlife habitat, protecting cultural resources, reducing hazardous fuels, and returning fire to the ecosystem. All decisions related to management of this fire continue to be based upon minimizing exposure and risk to fire fighters. STAGE I Fire Restriction on the Magdalena Ranger District will be lifted today at 8:00 AM. Monsoonal moisture continues to increase across the area bringing showers and thunderstorms. These predicted storms have a moderate chance of producing wetting rain. For more information about the Taylor Canyon Fire, please contact the Magdalena Ranger District during regular business hours at 575-854-2281 or Cindy Wolfe at cwolfe@fs.fed.us. You may also visit the New Mexico Fire Information website at www.nmfireinfo.com , Twitter:@Cibola_NF, and www.facebook.com/cibolanf.